Technology has come a long way since the release of the first computer and it’s not anywhere near to slowing down in development. Technology has made it possible to formulate occupations that didn’t even exist ten years ago. If you think about accounting a few years back, every task was performed manually – written down in books by hand. These days, a computer can perform all of those tasks with the click of a button. This is thanks to the development of customized software applications. What is customized software development? Custom software development involves the development and design of software for a specific client. This software solution is created by a third party to address the client’s particular needs and is not packaged for reselling. Signs that your business needs customized software? Off-the-shelf general software is limited in nature and while it might tick some of the functionality boxes you need for your business processes to run smoothly, chances are there are some it won’t and you’ll have to supplement it with additional software applications. If you have been in search of ways to automate some of your admin tasks so you increase your staff productivity, you’ve come to the right place. 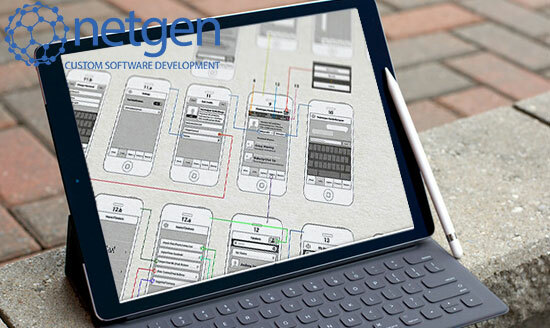 Netgen offers high-quality customized software application tailored specifically to suit your business needs. With eighteen years experience in the software development industry and many happy clients, you can be sure you are in good hands. Their services also come at an affordable rate. To transform your business and get the most out of your time, get in touch with one of the knowledgeable team members at Netgen today.